Sara Wanderlust: Superdry VIP Day! 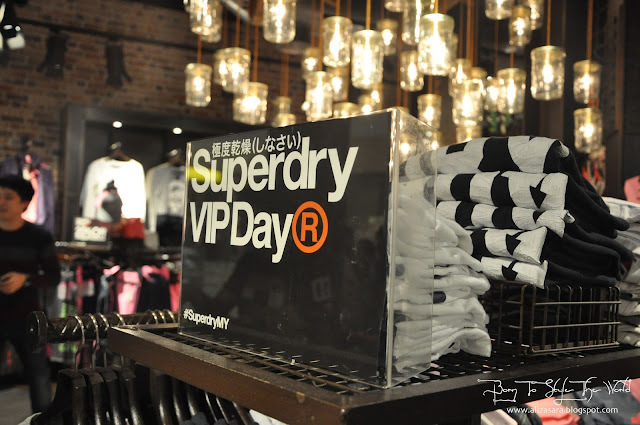 Thanks SuperDry for the VIP membership! If you havent heard of Superdry, well you might need to be up to date with this particular brand. 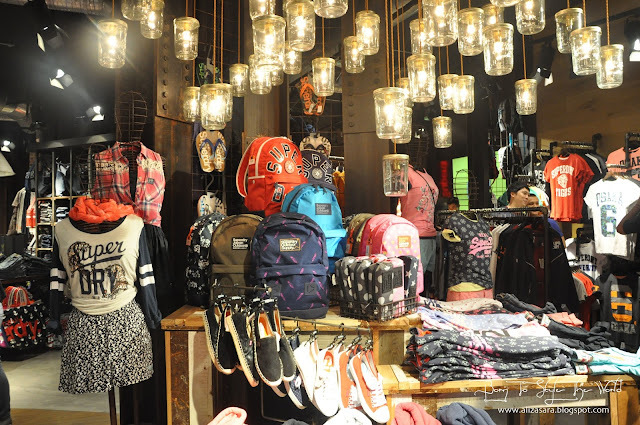 Superdry has been seen Kylie Jenner, Zac Efron, Hillary Duff and more. 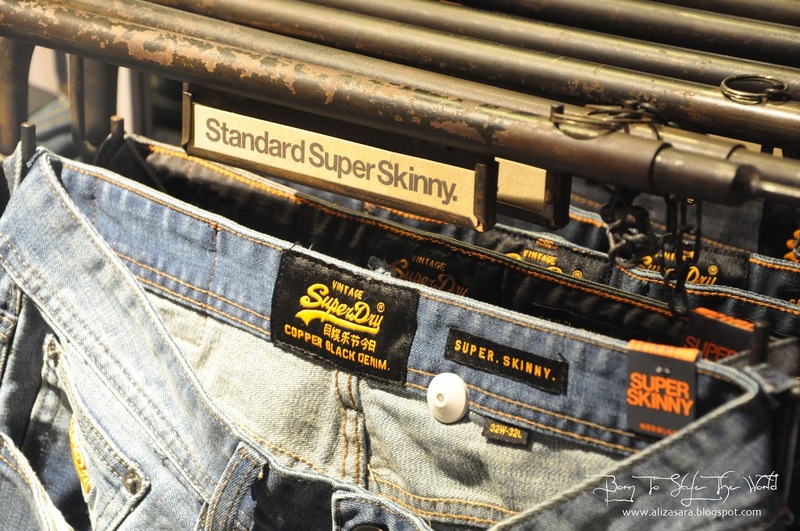 Its hard not to realise that this brand has made it to the top! 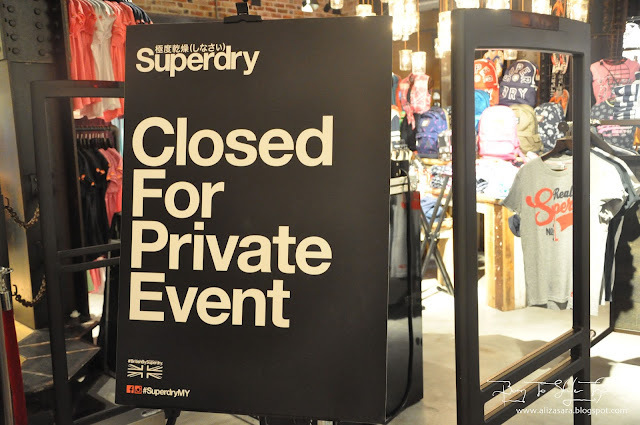 Superdry usually uses excerpts of Japanese text, as their trademark of the brand, and surprisingly, its not even from Japan. Superdry fashion is actually a UK based brand which has been loved worldwide! 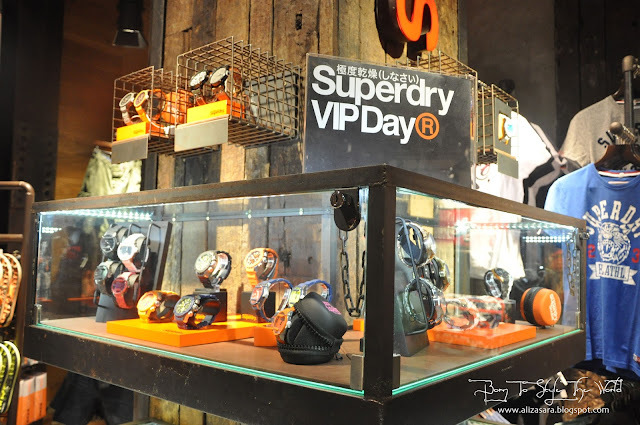 And guess what, i recently went to attend their VIPDay which happened here in Malaysia at Pavillion on the 15th of September 2015, thanks to the Butterfly Project and Superdry for having me. VIP's lining up, looking forward for their goodie bag. Closed to the public. How exclusive is that? Juanita from Red FM all styled up in Superdry. Mandatory group photo. Smile for the camera guys! Leonard loving their bags. its HUGE! Those fine details in their designs. The merchandises are pretty high end, but for a premium brand i think its meant to be within that price range. HAHA. But i have no doubt that the quality of their products are pretty good, i love the asian Japanese touch to it, even though it came all the way from UK. Its funny that when i travel to Japan, i tend to see english words instead on their T-shirts sold on the streets. 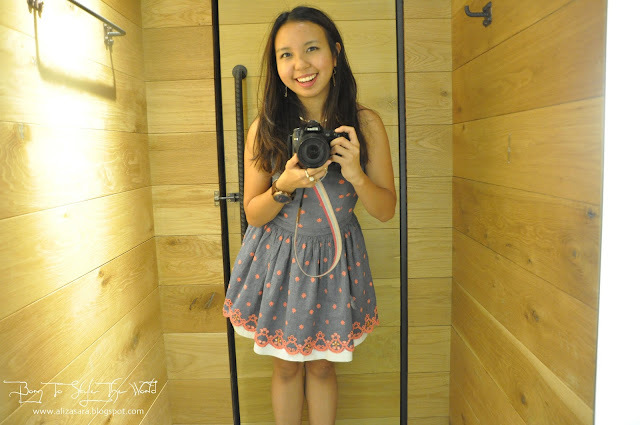 I checked out their collection, and i never knew that they had too adorable dresses! AHHHH! How kawaii (cute) is this?! I was so tempted to get it, but the price was a little bit too high for me as it was around RM300++, and i already overspent this month. - confession of a shoppaholic. haha. So instead, i got myself their sports bra which i can use for my runs. YES! So, expect seeing me running in style yo. 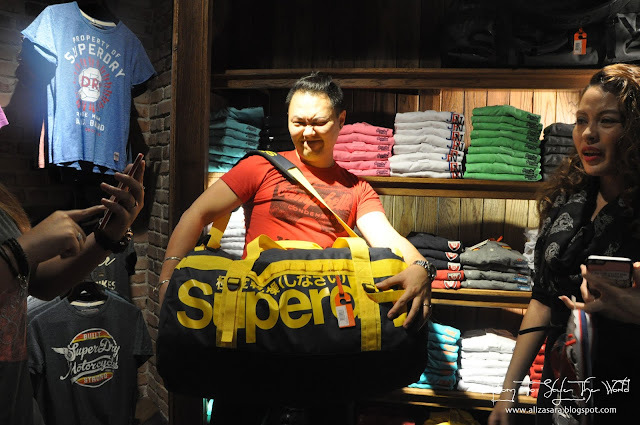 Me and the gang managed to get something from Superdry and boy we were happy alright. Just look at our faces. Personally i think i spent the most time picking a sporty outfit from Superdry since it was actually my first time laying my eyes on their sports collection. Too bad they dont have it for mens yet though. 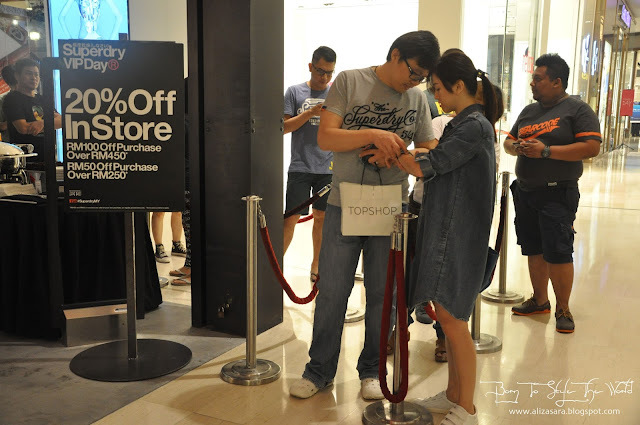 Theyre are two Superdry outlets in KL, one located in Pavillion KL and the other at Mid Valley Mall. So be sure to drop by and check out their latest colletion! Joining fee's would be RM30 for first year, and annual renewal is priced at RM25. - One time privileges of 20% off your purchase, 30% off your birthday, complimentary T-shirt with RM500+ purchased and RM100 off any outerwear. Wow! Their products are really nice.. Love the dress you tried, definitely 10 years younger.. or even more! Heard about this shop too, gonna get a look there because their clothes seems to be simple yet beautiful! 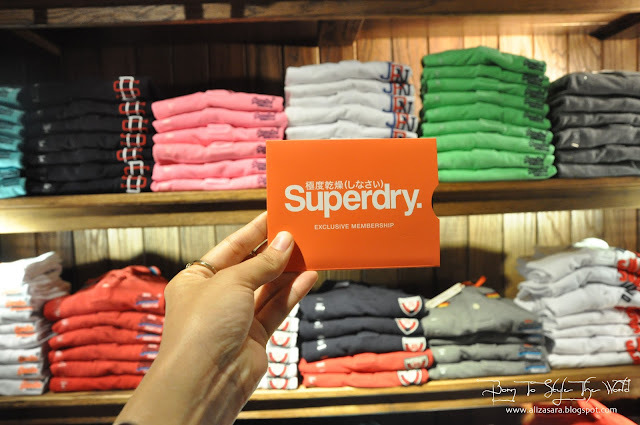 Wah, you are cool when you try the superdry! I need find new jean..next time I drop when I free ya! i am going to get the dress that u wearing! So cute i wan to be 10 years younger too! Awh the dress looks good on you Aliza dear :) Definitely will check out their merchandise soon. wait whaaaat, there's a Superdry Store in KL? Damn..... and I kept going to Bangkok to get my stuff.